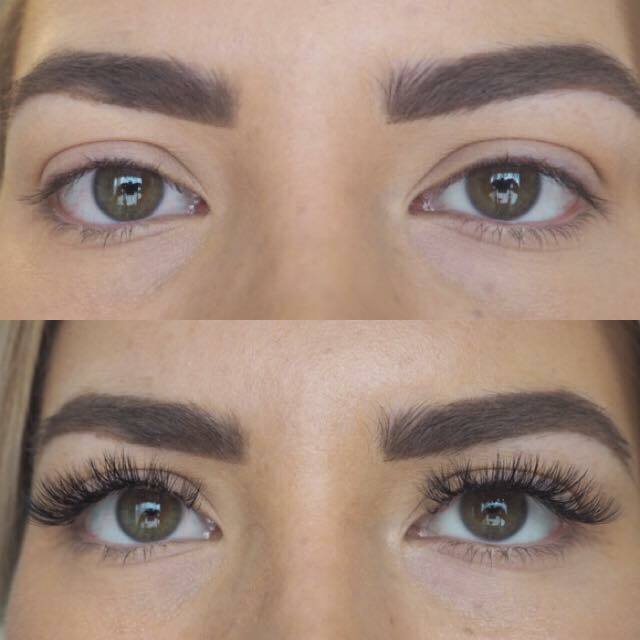 I have visited the gorgeous Q61 salon in Leeds once before, when I was invited to a blogger event a couple of months, so I was thrilled when Emily, the manager, contacted me to ask if I would review their new treatment- Russian Volume lashes. As a die-hard lash wearer (the bigger the better- am I right?) I jumped at the chance. I usually get SVS lashes (read what SVS lashes are and why I love the treatment so much here) or Volume, so I was really looking forward to it. The salon itself is slap bang in the city centre, on Duncan street, so it’s really easily accessible, as well as being absolutely terrible for my spending habits, because I just happened to leave my appointment and ‘fall’ straight into Zara…Whoops. The treatment itself takes around 90 minutes, and the results are amaaaaaaazing! I’m always a little bit hesitant to ask for Russian Volume when I am visiting a new salon or technician unless I have done some serious snooping on their social media pages to check out their previous work beforehand. This is because some technicians pack SO many lashes into their Volume sets (up to 8D!) that they become so thick that they resemble a caterpillar. Well, I think so anyway. They just do not suit me at all. Don’t get me wrong, I love a full set of lashes, but I much prefer the fluffy, textured Kardashian-esque look as opposed to the denser ‘strip lash’ look. One of the things I love about Q61 is that half the staff were sporting the Russian Volume, and they looked amazing! This was so reassuring because I knew I was bound to love the results. I told Martina the length of lashes that I usually get, and she got to work. Fast forward 90 minutes, and I had the most gorgeous, fluffy set of lash extensions. They were so lightweight I couldn’t even feel them- which is so important when it comes to volume lashes, as you can imagine! I’ve had them on for about a week so far and I have already received so many compliments on them. My technician advised to go back in about 3 weeks for infills, meaning they will last me way up into October! Volume lashes at Q61 are £70 for the first set, then £30 for infills. Visit the website here for more information.